Whitish-gray curds and linear hyphae, which are typical of an oral fungal infection known as pseudomembranous candidiasis. 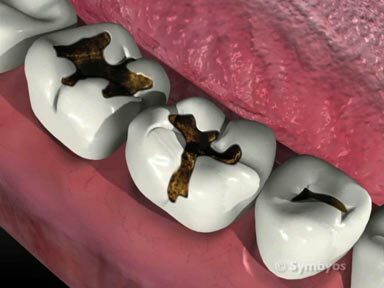 Oral thrush (oral candidiasis) is a common fungal infection, most often found in patients who are missing all their teeth. These include infants, and patients whose teeth are congenitally missing or have been lost—especially denture wearers who infrequently remove their dentures for cleaning and soft tissue rest. 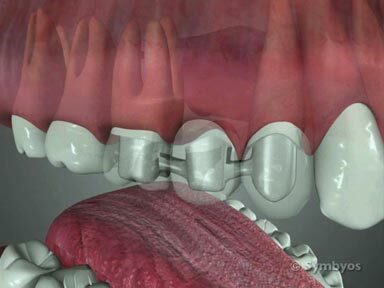 It can also occur following antibiotic therapy, but less commonly in the mouth. Most oral thrush is caused by the fungus, Candida albicans, and there are several variants. Atrophic candidiasis presents as a fiery red, bald/shiny oral mucosa which can be a very painful condition, and may represent a side effect of a more involved condition, such as diabetes or impaired immune function. An area of pseudomembranous candidiasis on the right dorsal surface of the patient’s tongue is shown seven days into the healing process. The yellowish curd shown is typical of the condition. This patient is a diabetic who wears complete upper and lower dentures and maintains them poorly due to physical debilities of her advanced age, and dementia. Pseudomembranous candidiasis, the classical variant, is more benign and typically presents with whitish-yellow curds on the oral mucosa which can be rubbed off (with some difficulty). The underlying soft tissue is typically bright red and very tender. Angular cheilitis is a candida infection that occurs at the junction of the upper and lower lip (i.e. the corners of the mouth, or commissures). 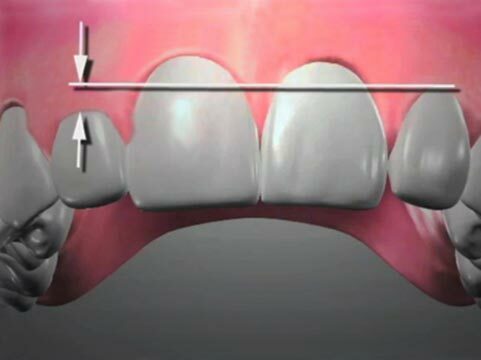 The condition is a common finding in patients who have lost multiple back teeth, and whose bite has collapsed (also known as loss of vertical dimension of occlusion), such that the patient’s cheeks fold over on themselves at the corners. It is also sometimes seen in nutritional deficiencies. Candida infections in adult patients with teeth are uncommon, and should raise suspicions that the patient may have HIV. How does the dentist diagnose Oral Thrush? The dentist performs an examination of the affected tissues, and arrives at a diagnosis on the basis of the appearance, location, and history. Tissue infected with Candida may appear red and atrophic (shrunken), pseudomembranous (ulcerated with a removable yellowish covering), or enlarged and white-colored. Most often, the patient is a denture wearer who maintains poor oral hygiene and leaves the dentures in place around the clock. Most candidiasis infections may be effectively treated by a class of antifungal medications known as azole drugs. These drugs are not recommended during pregnancy. A patient with oral thrush will generally need to take medication for two weeks to control the condition, which can be tenacious. It should be kept in mind that nystatin contains a high sugar content, and may not be advisable for patients with chronic dry mouth (xerostomia), or who are otherwise at risk for developing tooth decay. Patients who wear dentures should soak their dentures in 0.12% chlorhexidine rinse, and apply ketaconazole ointment or cream to the soft tissue side of the dentures to prevent them from causing a reinfection with the fungus. Denture wearers should also leave the dentures out as much as possible to allow the tissues exposure to the antifungal treatment, and plenty of time to heal. Medications are available in many forms including pastilles, lozenges, topical applications, or liquids depending on the patient’s individual needs and preferences. Patients whose candidiasis does not respond to treatment with the azole medications should be cultured to determine whether a resistant species of Candida is present. If so, intravenous treatment with Amphoteracin B may be recommended.